My earlier post Crazy English was all about the silliness and awesomeness of the English language and how daunting it can be a to a newbie. But with the right tools nothing is out of reach. English Bites is one such tool. Although when I wrote the post, I didn’t know the book is such an apt response to the questions at the end of the post. 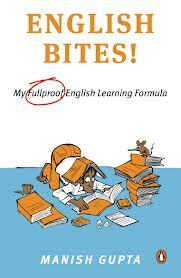 English Bites: My Fullproof English Learning Formula by Mr. Manish Gupta hopes to provide easy solutions to problems faced by English language learners. 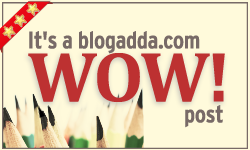 Whether you are a vernacular speaker, a GRE/GMAT/CAT/XAT aspirant or just a language nut, English Bites! endeavors to expand your vocabulary and improve your verbal ability. And also help you love the English language a little more. Manish Gupta is a banking professional. When not crunching numbers he is examining the vagaries and idiosyncrasies of the English language. He also likes trivia, travelling, adventure sports, delving into human psychology and giving professorial discourses to colleagues, family and friends and practically anyone who can give him a patient hearing. The book is the result of the author’s own journey with the language. The struggles and the triumphs generously sprinkled with anecdotes, learning techniques and witty comments. The book started as a journal of the author’s efforts and turned into a guide. It clearly has gone through a lot of iterations over the span of all these years and it reflects in the writing and the quality of the book. The USP of the book is the footnotes explaining the meaning of the words, their origin and interesting trivia. Who doesn’t know the pain of running to the dictionary for every new word and losing the flow thus spoiling the fun of reading. Although for most part I skipped that section and referred to it only when I didn’t know what a word meant or when I didn’t understand it from the context. I will be reading the book again for the footnotes. Anyway this is not a book which you read once and relegate to the shelf. This is a kind of book which you will keep coming back to every now and then. Also, you cannot read it in one go. It takes time for you to read and assimilate hence one chapter a time is a good reading pace. Although I broke this rule the this time, I will rectify it in the subsequent readings of the book. I would strongly recommend this book and this one goes right along the books like Word Power Made Easy. You need not be a GRE aspirant to read this book. Anybody who is interested in increasing one’s vocabulary or learning new things or just like the author puts it – loves examining the vagaries and idiosyncrasies of the English language will love this. Thanks very much for a wonderful review. I am glad that you enjoyed the book and gained something out of it. I am also relieved that the book lived up to your expectation. If there is any feedback (howsoever small, even minor), please do share it with me while the memories of the book are still fresh in your mind.